Respectfully, nobody else can determine what I NEED to defend my home and family. It’s not your call. It’s mine. And respectfully, I’ve decided that I require 3 dozen MS-13 gang members to defend my home and family. It’s not your call, Joe. It’s mine. After a frigid first half in which Notre Dame trailed Stanford 31-26, the Irish put up 26 in the third quarter and 32 in the fourth to defeat the Cardinal the Chicago region final, 84-68. Muffet’s Marauders advance to their seventh Final Four in the past nine seasons and will meet a familiar foe: Connecticut. That’s Friday night. You know what happened last year, on Good Friday. Arike! That was Notre Dame’s first victory versus Connecticut in nine games. An omen? The Irish have won two national championships, and both time did so after defeating the Huskies in the semi-final. The other semi? Kim Mulkey’s Baylor versus Final Four newcomers Oregon. Now we know why the Rolling Stones had to postpone their North American summer tour: lead singer Mick Jagger, 75, needs to have a valve in his heart replaced. The surgery will take place Friday in New York and here’s hoping surgeons will not let it bleed. No Division I men’s basketball team has completed an undefeated season with an NCAA championship since the Indiana Hoosiers in 1976. But this weekend Division II Northwest Missouri State (38-0) did so by capping their year with a 64-58 victory over Point Loma Nazarene. For the Bearcats, the fifth D-2 school to put together an undefeated championship season but the first with more 32 victories, it was the second natty in three seasons. Head coach Ben McCollum, he must be pretty good. He started two freshmen and a sophomore in a division with nary a one-and-done player. Didn’t matter. 38-0. Take a bow. The Bearcats have also won three national championships in football in the past five seasons. What are they doing in Maryville, Missouri, and how are they doing it? We did not want the NBA regular season to end without noting that we saw the Cleveland Cavaliers sporting these duds versus the Celtics last week and we dig them. Sure, it’s all about getting fans to shell out $110 on a jersey they don’t already own, and we think we’d look ridiculous wearing one (the gray chest hair burbling over the neck line, not a good look), but those are sweet for the players, no? By the way, in case you were unaware, the three teams with the worst records in the NBA all have the same chance to land the No. 1 pick, or Zion. Those three teams are the Knicks, Suns and Cavaliers. The fourth team is the Bulls, who would need to lose out and hope the Suns go 3-1 or the Cavs 2-2 simply to tie. Calving glacier in Iceland. Not the type of wave you want to catch or be caught by. Nature, still cool. This is about as low-rent as New Wave got in the Eighties. The British synth-pop girl group Toto Cuelo took this to No. 8 in the UK in 1982 and No. 66 in the U.S. in 1983. Let’s forget we ever saw or heard this, shall we? We absolutely LOVED this book and tore through all 520 or so pages in four days. 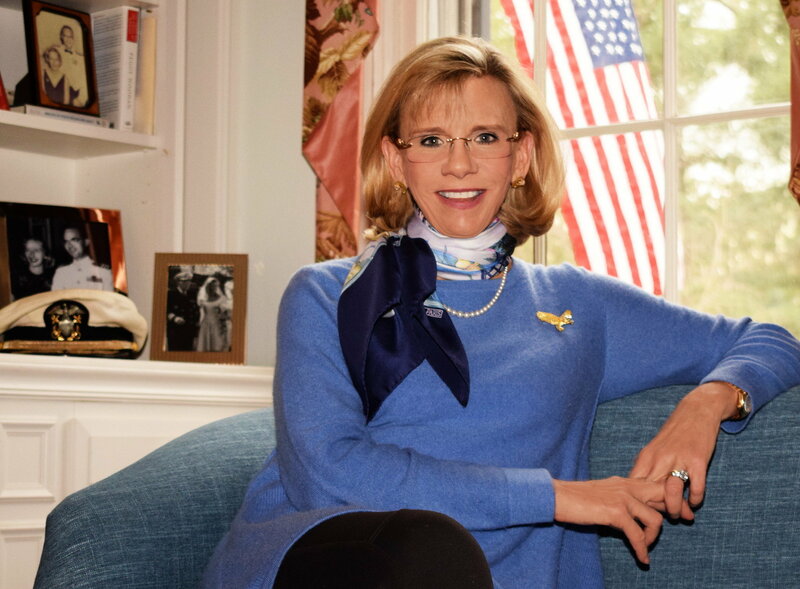 The author’s story is personal, familial: her father and his two brothers all served in the United States Navy in World War II. This is the story of their harrowing and historic odyssey. Freeman’s father, Bill Mott, was in charge of the Map Room at the White House and enjoyed face-to-face access to FDR and Churchill, among others. One uncle, Bert Mott, was the gunnery sergeant of the U.S.S. Enterprise, the most resilient aircraft carrier in the Pacific theater. Bill and Bert were Annapolis alums. The youngest brother, Barton Cross (their half-brother), washed out of Annapolis and took what was thought to be a safe job as a supply officer in the Philippines. Instead, Barton was wounded and taken prisoner by the Japanese in December of 1941. Freeman’s book, which took her 10 years to write, is a quest to learn the details of the paths of those three men during World War II. In so doing, she puts readers at Pearl Harbor, Midway, Iwo Jima, Okinawa, and all over the Philippines. 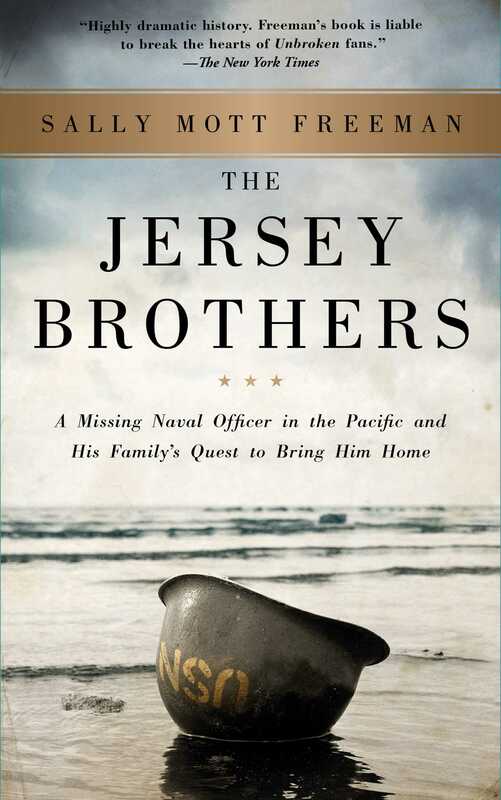 The Jersey Brothers, who came from Eatontown, just a few miles south of where we grew up, ranks right up there with Unbroken and Flags Of Our Fathers in terms of relatively recent World War II tomes. It is incredible and Freeman, a first-time author, does a fine job of staying out of the way and allowing the facts to transfix us. Heroic. And tragic.